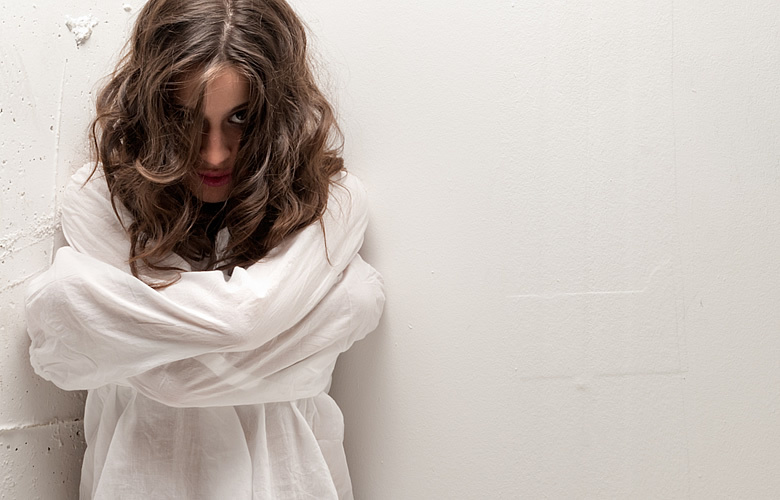 After dealing with an insane and skeptical medical system, those of you with CFS or fibromyalgia, or even just day-to-day fatigue, often begin to wonder if you're crazy. Let's take a look at this problem in a little more depth. The medical community has a bad habit: When doctors can't figure out what's wrong with their patients, they too often resort to branding them "nuts." Imagine calling an electrician because your lights don't work. The electrician checks all your wiring, can't find the problem, and says, "You're crazy. There's nothing wrong with your lights." You flip the switches and they still don't work, but the electrician just says it again, "I've looked. There's no problem here," and walks out the door. This is exactly what many people with CFS/FMS and day-to-day fatigue experience. The truth is that extensive research proves that CFS/FMS and day-to-day fatigue are very real and very much a physical issue. In fact I led a research effort that produced such a study. Published in the Journal of Chronic Fatigue Syndrome, our CFS/FMS study showed that 90% of study participants who received the S.H.I.N.E.® treatment showed dramatic improvement in energy. Study control participants, who received placebo, showed no improvement. If it was "all in your head," the placebo group would have improved as much as the active group. So any physician who tells you it's all in your head is no longer simply wrongheaded. They're unscientifically wrongheaded! Fatigue can often mislead you into thinking you're suffering from depression. But are you? Ask yourself if you have many interests. If the answer is that you do, but you're frustrated that you don't have the energy to participate in them, then you're probably not depressed. On the other hand, if you don't have many interests or you've lost interest in the ones you had, then you're likely depressed. If you're depressed while you're dealing with fatigue issues, you should seek treatment for that while following the S.H.I.N.E. protocol. Whether or not you're depressed, when battling an illness you may want to consider working with some type of therapist for emotional support and guidance. Be careful whom you choose, however. Make sure "psychotherapist" is one word—not two! Talk to your friends and relatives, or your physician, to find someone who's good. I suspect that all illnesses have a psychological component. I find that those of us who have or have had CFS/FMS, and some with only day-to-day fatigue, are mega Type-A overachievers. We're approval seekers who avoid conflict to avoid losing approval. We often grew up seeking approval from someone who simply wasn't going to give it to us — no matter how hard we tried. And we take care of everyone except one person — ourselves! Being empathic, we also often find ourselves being emotional toxic waste dumps for anyone in our orbit. We attract every "energy vampire" in town — those people who, after interacting with them, tell you how much better they feel, while you're left feeling energetically sucked dry! Learning to use this wonderful word can set you free. If you're asked to do something that'll take you more than two hours, use that magical word. Tell them it's doctor's orders — that your doctor (that's me) said he'd wring your neck if you took on anything more. Or just say that the answer is probably no, and that you'll get back to them in 24 hours if you change your mind. Then politely walk away. When you get home you'll feel great, like you've dodged a bullet and you're off the hook. And since you added that 24 hour reconsideration window, you can still change your mind if you truly wish you had said yes. I generally encourage you to choose between yes and no more based on how you feel than what you think. You should of course think through what you're being asked to do, but after you've done that, consider how you feel about it. If it feels good to say yes, then do so. Otherwise say no. Why give so much weight to feelings over thought? Your mind is a product of how you were "programed" as a child. It pushes you towards actions that earn approval from parents, religious organizations, and God knows how many other authority figures. Your feelings, on the other hand, reflect your intuition and reveal what's personally meaningful to you. So always remember the wonderful word "no." It's a powerfully freeing word. And though it's a complete sentence all by itself, you can elaborate when you need to, as in "What part of 'No' don't you understand?" Be authentic with your feelings. That means truly feel all of your feelings, without the need to understand or justify them. When they stop feeling good, let them go. Make life a no-fault system. No fault. No blame. No guilt. No judgment. No comparing. And no expectations on yourself or anyone else. Change your habits of thinking. If you find yourself judging someone, simply drop the judgment mid thought as soon as you notice it. And no judging yourself for judging others. Keep your attention on what feels good. We're sometimes given the misconception that we should constantly keep our attention on our problems. That's nonsense. Life is a massive buffet of options. Pick the ones that feel good and give those your attention. If a problem truly requires your attention, you'll find that it suddenly feels good to focus on it. After all, when you have hundreds of TV channels to choose from, why just just watch the ones you hate? For more on this, I invite you to read my book Three Steps to Happiness! Healing Through Joy (Kindle or paperback versions at Amazon, or as a CD from Plow Shear Press). It'll give you all the tools you need to feel great emotionally!